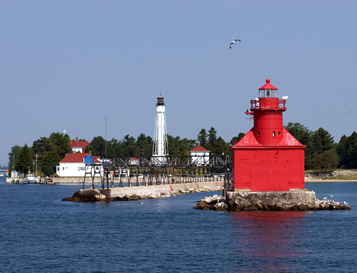 Sturgeon Bay, named Wisconsin’s friendliest small town, is known for its year round cultural events, quality recreational facilities, waterfront villages, low crime and safe neighborhoods. activity and view all along the Door County peninsula. With a population of just over 9700 people and voted one of the "Top 10 Vacation Destinations in North America" by Money Magazine, Sturgeon Bay offers a magnificent collection of unique shops, artists galleries, museums, charming restaurants and bistros, state parks, fun festivals, farmers’ markets and thoughtfully restored bed and breakfast inns. There are so many reasons why people choose to live in Sturgeon Bay and even more reasons why they choose Pine Crest Village as their preferred retirement and assisted living community.